You count yourself lucky as a blow from above narrowly misses your head but, should the attack have hit, you feel well protected wearing the Jupp Steel Kettle Helm. This helmet style was popular among foot soldiers of the Middle Ages. 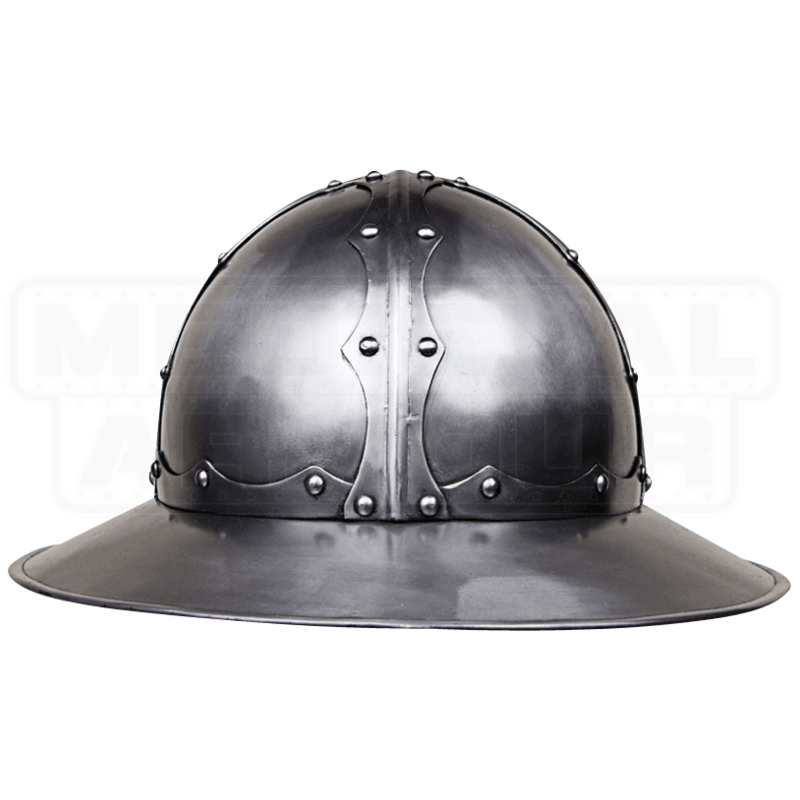 Handcrafted from steel, this medieval helmet features scalloped strips riveted across its round skull, strengthening its structure. An additional scalloped strip accentuates the crown. The wide, slightly downturned brim, made of metal, creates the traditional kettle hat style, quite useful for protecting the wearer from attacks from above as well as shielding the wearer from sun and rain. 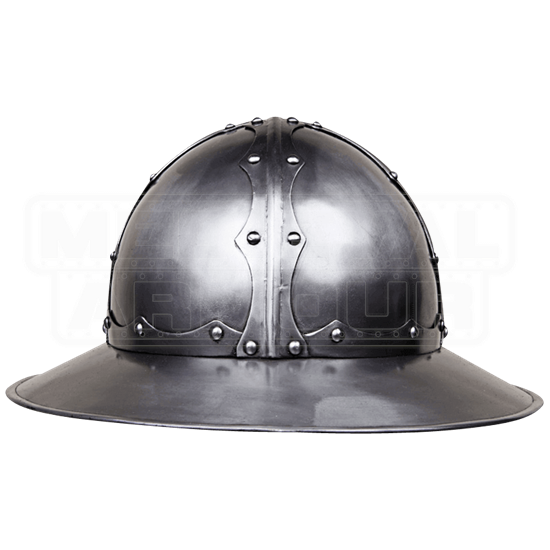 An essential addition to any medieval soldiers ensemble, the Jupp Steel Kettle Helm is perfect for medieval and fantasy LARP and costume use.